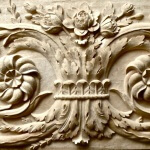 To carve a decent-looking rose or flower, a craftsperson must take no prisoners! 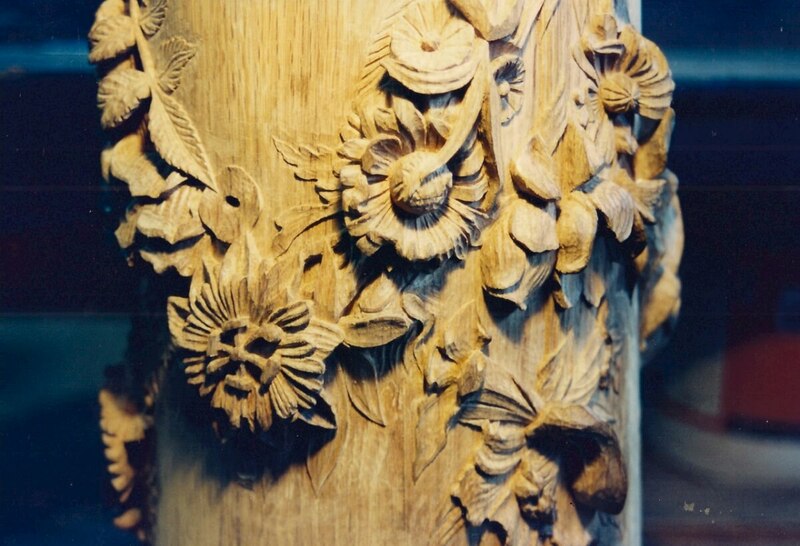 Blood, sweat, and tears—and careful study of the techniques of past masters—are required to make the flowers come to life. 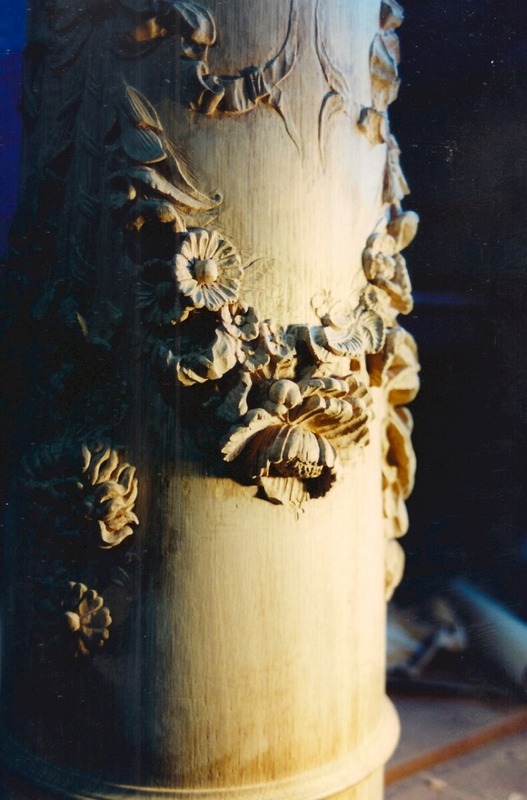 The carving must look delicate but not so heavily undercut as to render it physically weak and not able to stand up to the rigors of typical use (for example, imagine the wear the newel post shown below gets). 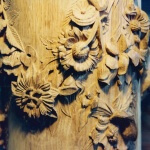 Like with all woodcarving, the most important aspect of a good flower carving is that the design is well executed and that it has a weight and flow of its own. 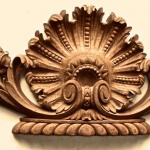 This English-style swag was hand-carved in wood from a design based on the centerpiece of an 18th century fire surround belonging to Ann Getty. 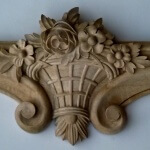 Hand-carved bracket in wood by Agrell Architectural Carving. 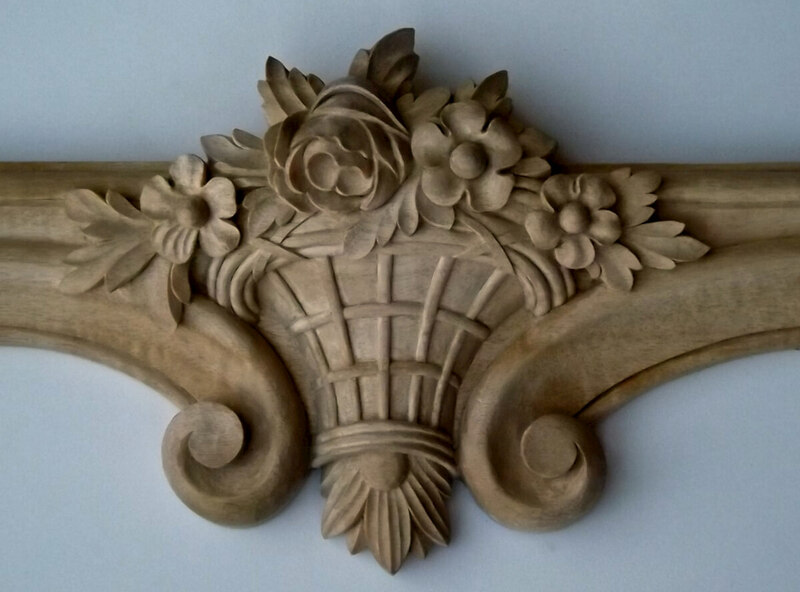 This panel was copied from a photograph we took at Versailles. It’s vibrant bouquet is framed by flowing acanthus leaves. 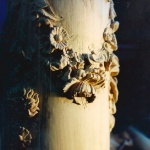 Shell applique featuring roses and other flowers. 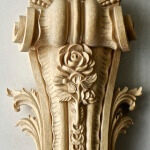 Hand-carved by Agrell Architectural Carving. 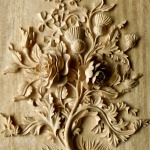 Wood panel hand-carved by Agrell Architectural Carving. 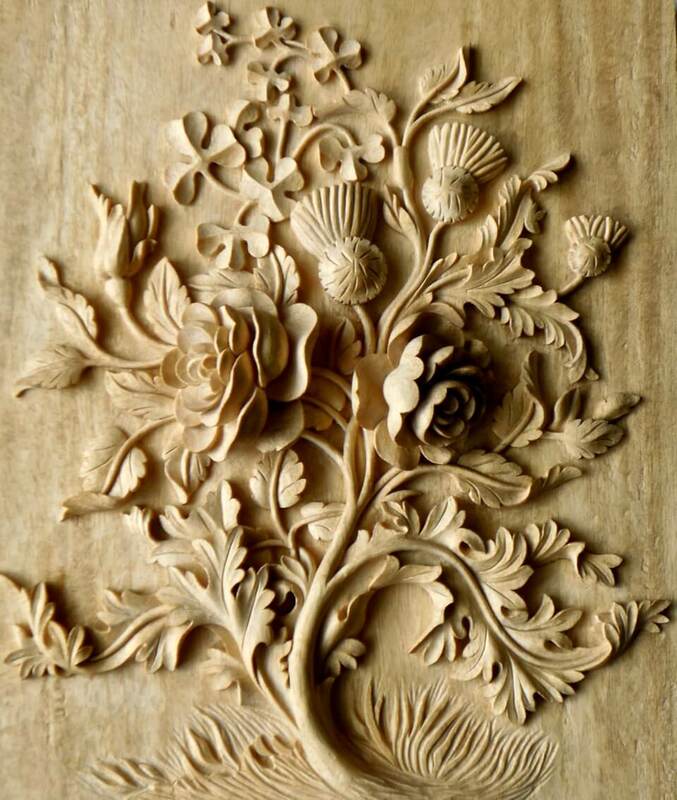 These flowers were hand-carved in wood by Agrell Architectural Carving. 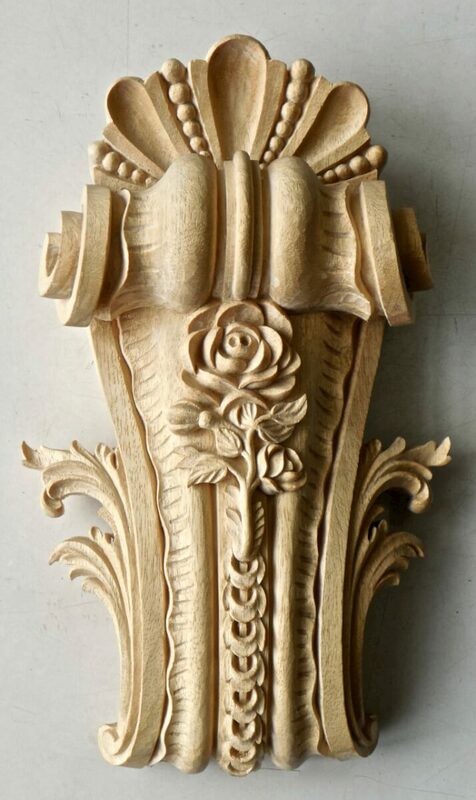 Hand-carved by Agrell Architectural Carving for the Utah Governor’s Mansion.